The VHF CD with Joel Hoekstra and Tony Franklin is being mastered and will be available in a few weeks! Also more drum lessons and videos are on the horizon! Click on the link to see the video. Click the following link to see the video. Follow the link to view the October 2013 video lesson based off the Rock Perspectives column I wrote. 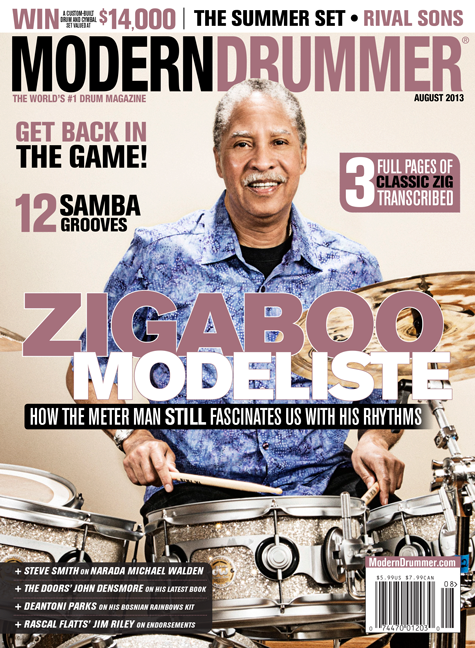 August 2013 issue of Modern Drummer magazine! Here is my Rock Perspectives article and video on Double Bass. Here is the cover of the new..August issue of Modern Drummer Magazine. I wrote the Rock Perspectives column Double Bass Workout…I will also send out the link when they post my video…rock on! Preview of my upcoming CD…. wait till you hear the completed version!